Gabrielle Hope and her mother joined the Harmony Hill Shaker community in 1807. The community promised stability and devotion that Gabrielle wholeheartedly embraced. But when a local doctor must be brought into Harmony Hill from the outside, he sets into motion a chain of events that will challenge Gabrielles loyalty to the Shakers. Ann H. Gabhart is the author of The Scent of Lilacs, Orchard of Hope, and Summer of Joy. She lives with her husband a mile from where she was born in Lawrenceburg, Kentucky. 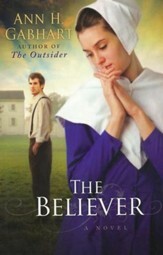 Shaker romance might seem like an oxymoron, but Gabhart (Summer of Joy) pens an interesting if emotionally lukewarm historical tale that explores the fascinating world of a religious Shaker community. The predictable story line is less compelling than the details about the Shakers and their stringent religious beliefs, with celibacy key to the plot. 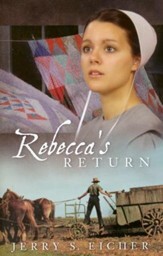 Set amid the War of 1812, the point of view shifts between the two romantic leads. Twenty-year-old Sister Gabrielle Hope's spiritual visions enable her to see future events. 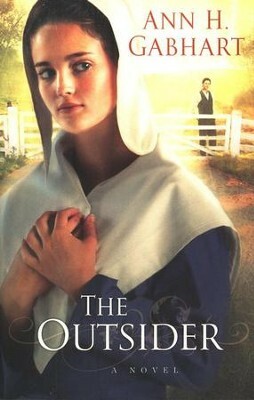 Although she's committed to the Shaker community of Harmony Hill (based on Kentucky's real-life Pleasant Hill), a few words and a kiss from the widowed outsider Dr. Brice Scott cause her to question the life she and her mother have chosen. More uncertainty follows as the strict rules of the community separate mothers from their children. Disappointingly, the romance never tingles, and even the novel's darker scenes of suicide and military execution are emotionally flat. 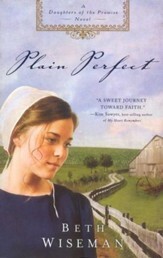 But fans of Beverly Lewis's Amish novels may find Gabhart's well-researched historical fiction to their liking. (Aug.) Copyright 2008 Reed Business Information. Tell us a little about yourself. I'm a country girl who has always lived on a working farm in Kentucky. Not horses. Beef cows. I started writing when I was ten and have been writing ever since. I've published eighteen books with three more scheduled to be out from Revell Books in the next couple of years. What was your motivation behind this project? 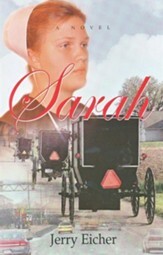 I enjoy historical fiction and had two historical romances published by Warner Books in 1978 and 1980. At that time I researched the Shakers and wrote about them, but the time wasn't right for the book then. After a major rewrite, the time seems to be right now and The Outsider is being very well received by readers. What do you hope folks will gain from this project? I always want my readers to like my characters and to be glad they read my stories. I hope they also come away with a better understanding of the Shakers and frontier days since the book also tells about the War of 1812. 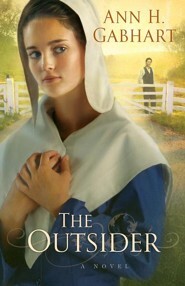 Last but certainly not least, I hope they are inspired by the faith journey of my characters. How were you personally impacted by working on this project? While researching the War of 1812, I saw the horrors of war in any age and my admiration grew for those men and women who have defended our country with courage through the years. I also was interested to learn more about the Shakers and what they believed. Who are your influences, sources of inspiration or favorite authors / artists? I come from a book loving family so I've always been blessed with the availability of books. Reading has always inspired me. I like so many authors it's hard to pick out a few, but Chaim Potok opened my eyes to how a writer can make a character come to life on the pages of a book and Barbara Kingsolver is another favorite. Anything else you'd like readers / listeners to know: I love to hear from readers so come on over to my website and tell me what you like or don't like in your reading world.